Server & Desktop Management | Sharepoint | Web Development | Batish Technologies Pvt. Ltd. Server and Desktop Management – Batish Technologies Pvt. Ltd. Most businesses these days use computer networks for their day to day transactions. However, what happens if your computers network becomes disrupted? Not only will your business lose money because of this disruption but your employees will not be able to perform the tasks that they need to finish either, therefore cutting back on the productivity of your business as well. It is imperative that every business owner has an adept desktop and server management team carefully monitoring their computer networks at all times. Business owners have the right to choose between hiring a remote service to manage their computer networks or to hire an on-site employee to tackle these tasks. Batish Technologies is IT Solution Company providing complete Server & Desktop Management Services. By electing to hire a team to tackle your computer problems, you will not have to worry about having to troubleshoot your computers problems on your own. A lot of business owners are focused on making money when it comes to their business, therefore any problems that arise can greatly impact the way that their business operates and also put a whole in their business profits for the day. There is a lot of business owners that are electing to employ remote desktop and server management teams as opposed to on-site IT professionals. There are many advantages that accompany hiring a server team that provides services from a location that is off site from your business. Keep in mind, that not all servers crash during business hours, therefore a remote team can keep a constant watch on your computers servers to ensure that they are always working at the speed and the capacity that you desire. If your computers network ever incurs a problem, you will be able to speak directly with a skilled IT professional who will remote access into your computers servers and fix the problem immediately. In fact, since these individuals can reside in different areas around the world you will be able to be more selective when it comes to hiring an IT team to watch over your computers network. 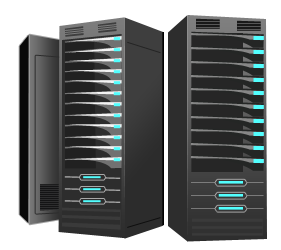 Contact us for more information on Server & Desktop Management Services.